Sport in general, particularly at the grass roots level, and many sporting events, rely upon the generosity of a few. The running of our cycling club and the events we organise would not be possible without the assistance of volunteers. For the most part, they are long serving, retired members who simply enjoy lending a helping hand. So how might one define a volunteer? Most agree it’s someone who willingly gives their time freely, without thought of any gain, monetary or otherwise, to assist others. My first experience of volunteering was while I still worked in the City. With the support and encouragement of our Chairman, I set up a scheme whereby we adopted a primary school in one of the more-deprived areas of London. We worked with a group of children on their literacy, numeracy, IT and musical skills, mentored the head teacher and helped raise much-needed funds. We also organised school trips and involved the children in a number of out-of-school activities. Everyone was surprised at how much personal enjoyment they got out of their involvement. 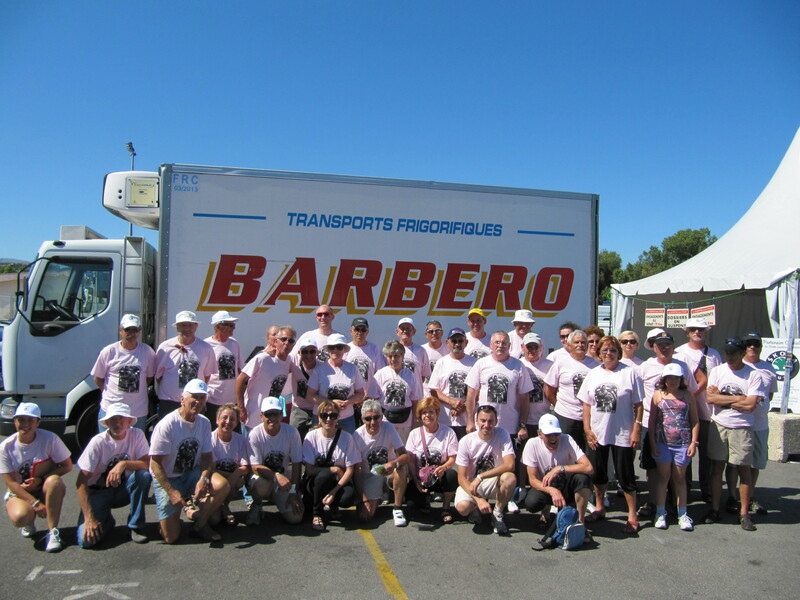 Since moving to France, I have worked as a volunteer at a number of major sporting events. Each time I’ve been fortunate to work with a great crowd of people, some of whom have become good friends, and learnt more about what makes events of this type successful. My day-to-day volunteering revolves around my work for the cycle club. Most clubs are run by those who are retired. However, all our team work either full or part-time, we are therefore hugely reliant on the assistance of many club members. Inevitably this tends to be those who have time on their hands ie the retirees. Initially, those who were part of the club’s previous administration continued to assist us but most have now resigned as they were not wholly in sync with the way in which we run the club. While we have no problem with reimbursing members for expenses validly incurred on behalf of the club we do not support what I like to call “blanket reimbursement of expenses”. That’s to say reimbursing members for expenses which also have a personal element such as internet and telephone subscriptions. Put bluntly we don’t believe that donating your time to the club should be rewarded with additional perks above and beyond what is available to all the membership. Every committee member has to pay their own membership fees and we no longer hold the annual dinner for the management team and their wives. It may not sound very much, but I estimate that with this approach we have saved over 3.ooo Euros per annum, just under a quarter of our subvention from the local authority, which equates to 19,50 Euros per member. I appreciate that I’m beginning to sound like a killjoy but I do believe that everything should be above board when it comes to handling the club’s finances. Indeed, we have been much lauded by the Town Hall for our approach. Instead, I much prefer we hold events that everyone can attend: members, local dignitaries, sponsors and friends of the club. Of course, running a club is not a popularity contest, nor should it ever be viewed as such. There are always members who think they could do it so much better. Typically, these are the members who never, ever give you a hand. Instead they are always on the receiving end. Sadly, every club has them. Similarly, there are members who are always willing to help and one should endeavour never to take them for granted. But often a simple “Thank you,” an all too often overlooked management tool, will suffice. Others require a bit of cajoling or inducement. A free t-shirt often does the trick. I like to remind people that you get out of a club what you put into it. Put in nothing and…………………………. La Ronde is fast approaching. This is a race we organise in conjunction with a pointage every August. M le President sent out an email asking for volunteers, it fell on stony ground. Many of those who volunteer aren’t on the internet. Unbelievable, I know but there it is. In addition, a lot of members only check their mailboxes periodically, like once a week! I decided that a telephone call would probably work better. I’ve rung all those that volunteered last year, plus others, and we now have enough volunteers. Calls may take longer than an email but when you’re asking someone for essentially a favour, the personal approach is often better. Now, I’d better get stuck into replenishing my cake stocks. Tour Postscript: Tom Boonen succumbs to his injuries and abandons the Tour. A crash takes out Bradley Wiggins and Remi Pauriol with collarbone/shoulder injuries. The subsequent pile up delays large numbers of riders including all those from Sky who drop out of Top 20 on GC. Thomas concedes the white jersey to Gesink. Levi Leipheimer and Chris Horner lose more time. The road has decided, Radioshack’s GC rider is Andreas Kloden. Rojas snatches back the green jersey but, with his stage win, Cavendish inches ever closer to green. Thor hangs onto yellow for probably the last time, likewise Hoogerland who will probably concede the spotted jersey tomorrow.